Who doesn’t love a big ol’ hug? Whenever a loved one is upset, it’s almost instinctual to wrap your arms around them — why is that? Well, because a hug makes us feel good. It’s also a form of healing therapy, which has been extensively studied due to its noninvasive approach. Researchers have found that in addition to laughter, hugging has been shown to actually help individuals heal. Researchers have even found that hugs can potentially ward off the common cold. I mean, c’mon! Here’s what science has to say about a good old fashioned hug. Eight hugs a day can make you healthier. As we will discuss below, science is teaming up with those warm, fuzzy feelings you experience during a hug. We all know that hugs feel good, but what is really going on inside our bodies and minds? For starters, many of the positive benefits of hugging come from our body’s ability to de-stress. When experiencing a hug, our bodies release oxytocin — better known as the “bonding hormone.” It promotes attachment in relationships, and when you experience a hug, some is released into the bloodstream and the rest remains in the brain. This leads to changes in mood, physiology and behavior. At this point, there appears to be a “trickle-down” effect. Your heart rate slows down, cortisol and norepinephrine levels drop (which are what contribute to feelings of stress) and feel-good hormones (serotonin and dopamine) increase. If you haven’t yet received or given a hug today, it’s time to go hug huntin’. Here’s what the science has to say. Incredibly, hugs have been shown to not only cause short-term positive effects on health but also provide long-term health benefits. Considering stress can have a negative impact on immunity, it’s no surprise that hugs have the opposite effect. This was shown while studying the link between hugs and the common cold. Hugs can improve your immune function. In fact, after studying 406 healthy adults, it was found that hugs may act as a buffer against one’s susceptibility to stress-induced infectious disease. The participants were actually exposed to a virus that causes the common cold. Those who received greater support and more frequent hugs showcased less severe symptoms. As discussed, hugs offer your body a healthy dose of oxytocin. Since this hormone promotes feelings of trust and bonding, it lays the foundation for human connection. Hugging also stimulates the release of both serotonin and dopamine, both of which influence positive mood. PET scans and MRIs have shown that when receiving a hug, the brain releases increased levels of dopamine. At the same time, increased levels of serotonin and endorphins are released into the blood. This has also been shown when cuddling with a pet. As we now know, hugs increase oxytocin levels. As levels of this hormone increase, researchers have found that blood pressure decreases. Although this has been tested in humans, several animal studies have shown similar effects. For example, when rats’ bellies were stroked, oxytocin levels rose and their blood pressure dropped. Unfortunately, one in every four deaths is attributed to heart disease in the United States. Since high blood pressure is a key risk factor, greater emotional support may help those at risk. If you would like to further protect your heart, you should also focus on these 19 foods. It is said that when you hug someone, there is an exchange of empathetic feelings due to the bioenergetics field generated by the human heart. This is why many say that a hug is a “handshake” from the heart. Increased feelings of empathy have also been attributed to higher levels of oxytocin. As you bond and build trust with the individual hugging you, you’ll also experience a positive effect on how you feel about yourself. One UCLA study found that when oxytocin levels increased, participants experienced greater optimism and self-esteem. Hugs can boost your mood. Although this has not been scientifically proven, eight hugs are better than one! So, starting today, reach out and hug someone you care about. Alternatively, if you’re in need of a hug, ask for one. 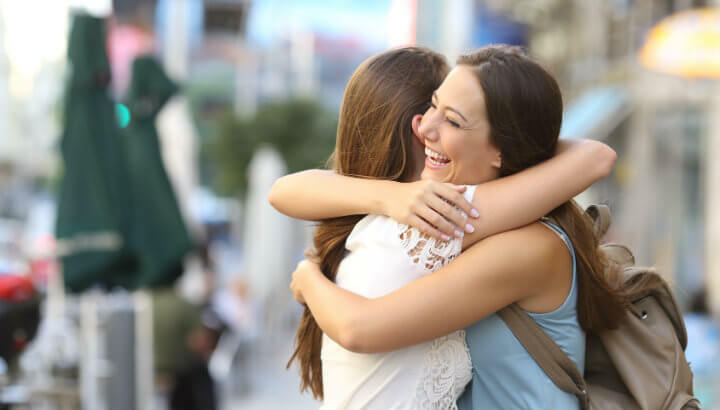 Hugs make the world go round and boost your health in the process — it’s a win-win! 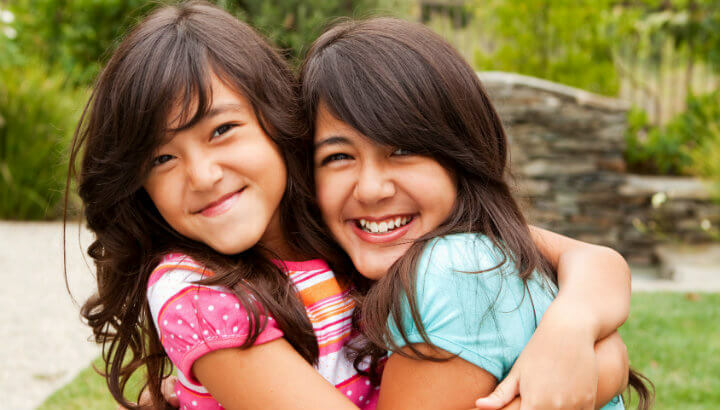 Hey Buddy!, I found this information for you: "4 Science-Backed Health Reasons We Need At Least 8 Hugs A Day". Here is the website link: https://www.thealternativedaily.com/4-science-backed-health-reasons-we-need-at-least-8-hugs-a-day/. Thank you.